We woke to brilliant sunshine flooding the room. 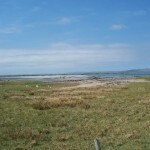 At breakfast, we looked out onto the bay, complete with a pair of swans and their cygnets. 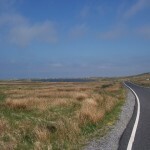 On the previous evening, we had debated when we needed to leave, and had loaded the bike up before breakfast. 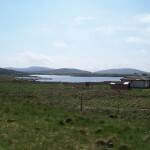 We hoped to catch the early ferry from Barra to Eriskay, and this leaves from Ardmor – about 9 miles from Castlebay. 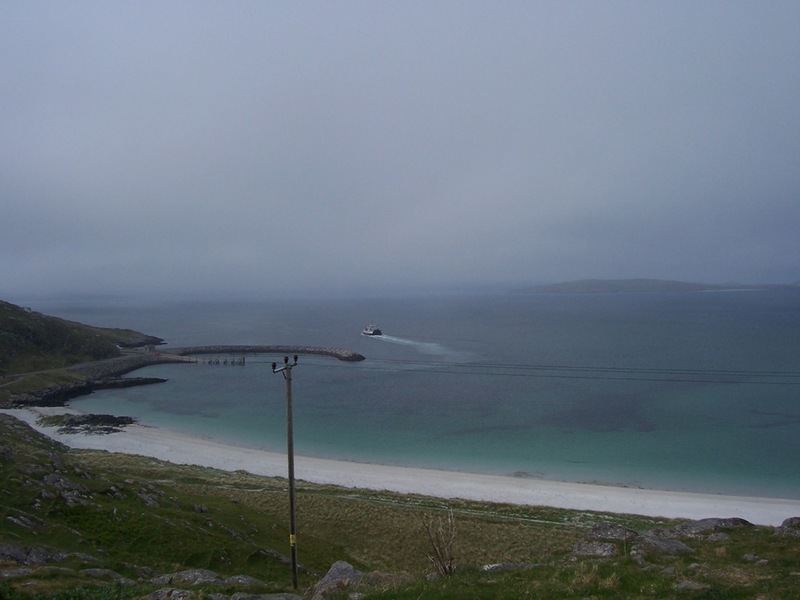 We rolled off at 8.15 am, to catch the 9.25am Barra-Eriskay ferry. 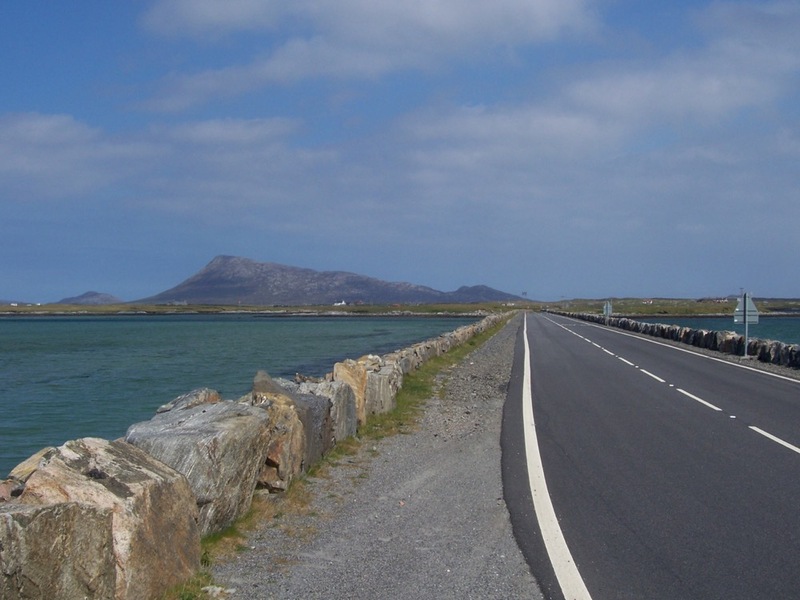 This was the second time we’ve ridden this dash to the ferry, and this time was no different – a lengthy and steep climb out of Castlebay, followed by a rather undulating road out to the Ardmor ferry terminal. 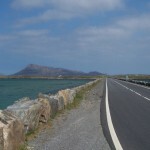 As we left Castlebay, the gloriously sunny skies clouded over. We arrived with about ten minutes to go, to find quite few cyclists queued up ahead of us. However, there weren’t any problems getting a space on board. While waiting to depart, I spotted what I thought was a sea otter, and on the way over to Eriskay, we saw a bunch of seals basking on a small rock. 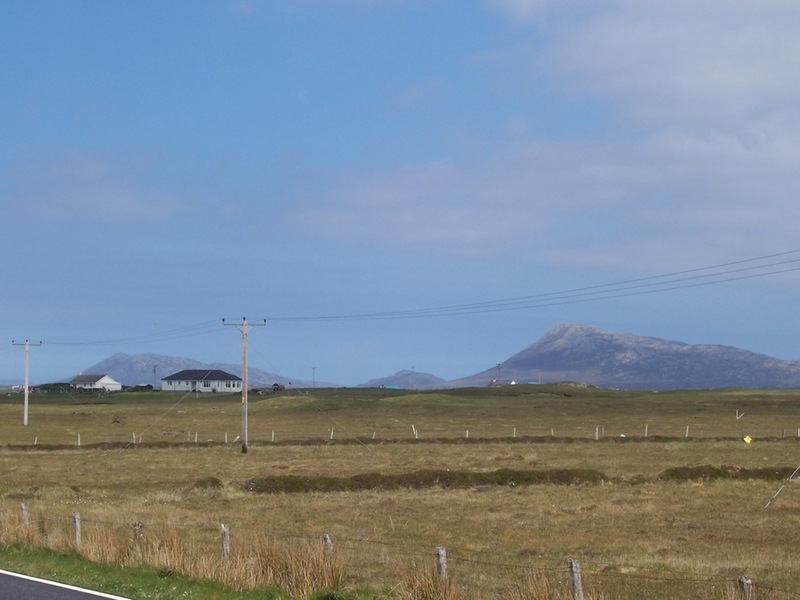 Once on Eriskay, there’s a bit of a climb away from the ferry jetty, but once over that, we zoomed down to the causeway over to South Uist. 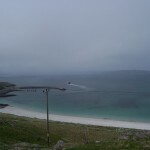 At the top of the hill we stopped to look back at the ferry which was heading back towards Barra. 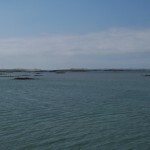 The low cloud was beginning to lift and the silver sand and clear blue sea were beginning to look rather good. 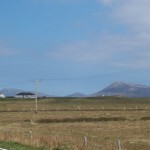 From there, it’s an ever-changing landscape, from the dispersed houses of South Uist to the very wet Benbecula, to the more rugged landscape of North Uist. We only paused for photographs, to heat up some lunch (chili con carne), to visit a craft shop and to buy some supplies at a Co-op. 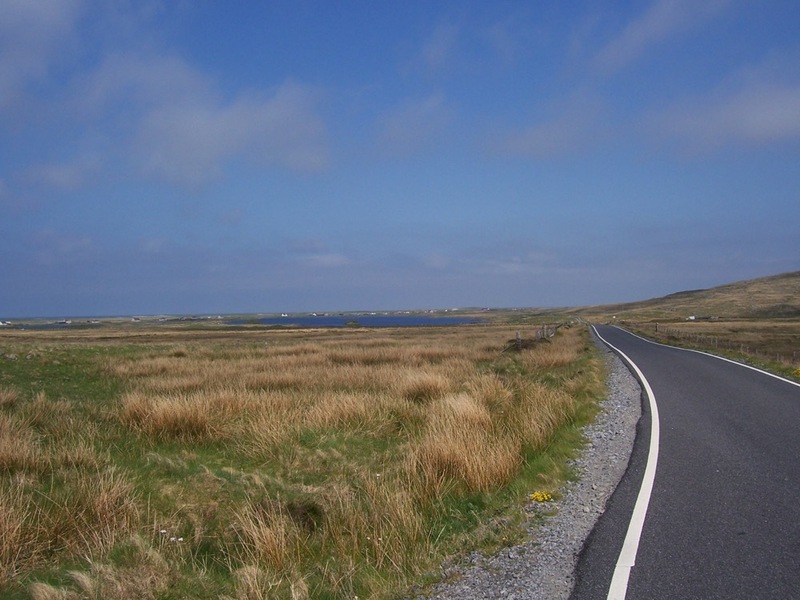 By the time we exited Benbecula, it had become very sunny again, though with a stiff breeze that was a direct headwind between Clachan and Lochmaddy. 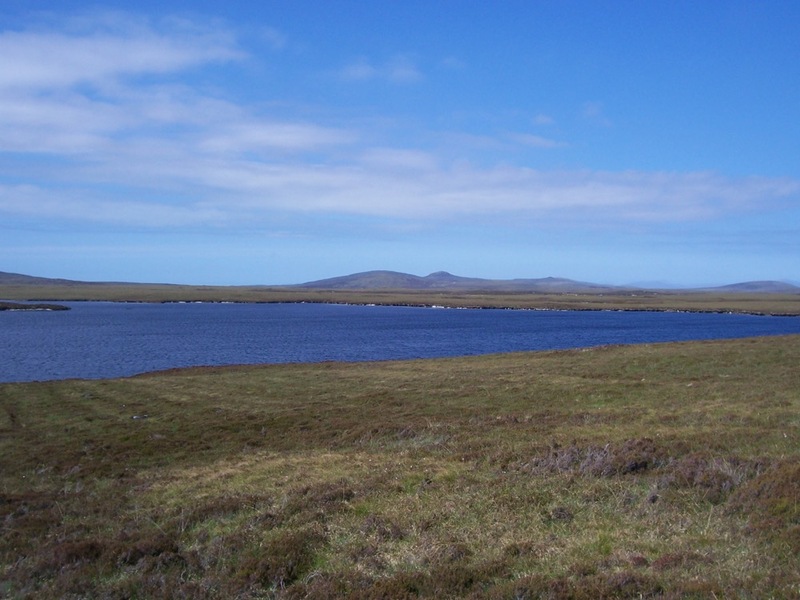 But the scenery delighted, with deep blue lochans amid heather clad hillside. 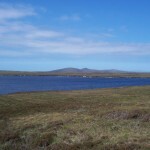 Eventually Lochmaddy came into view, with the Tigh Dearg Hotel plainly visible – resplendent in red. We rolled up to the Rushlea B&B, and cleaned up a bit. We popped out to the Tigh Dearg for some beer (the Tigh Dearg, brewed by the Skye brewery) and food (excellent baked hake for both of us, followed by rhubarb creme brulee for me and cheesecake for my stoker). Then it was back to Rushlea after a brief stroll. Nature points: Sea otter, geese plus goslings, swans plus cygnets, curlews, an owl (of unknown species). Road kill points: a hedghog (which is good, these were recently introduced and are playing havoc with ground nesting birds).